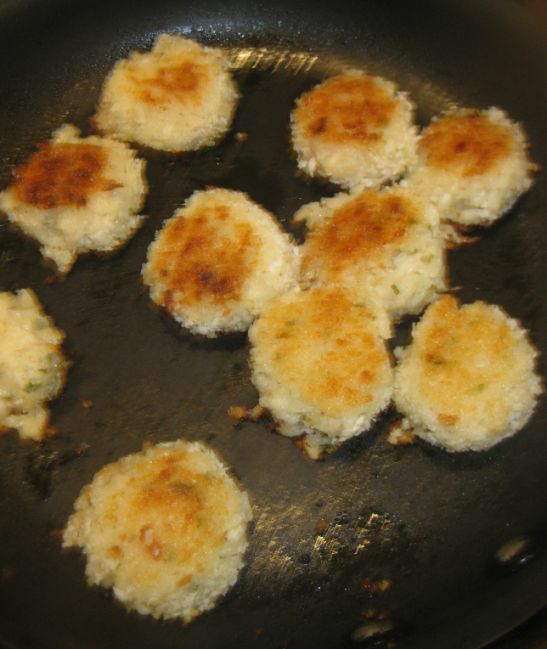 I am having a party next week and I wanted to have dry run on this recipe: Crispy risotto served with Frog legs to see how it is going to taste like. 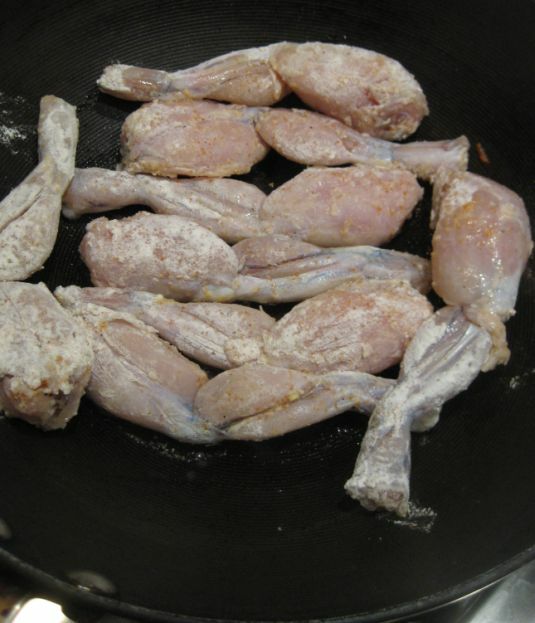 At the groceries store I was looking for small frog legs but all they have was these jumbo frog legs so I went ahead and buy them. 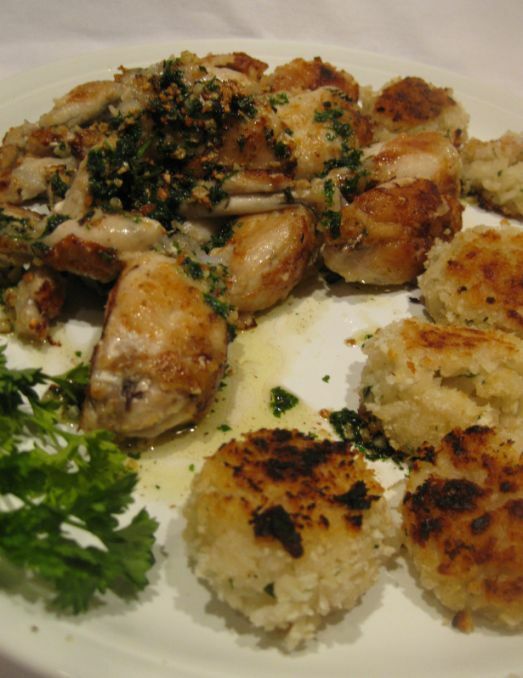 After cooking and tasting the frog legs it is definitely a mistake to get the large legs. I did not care for the taste it seems like the meat was gorge with water. 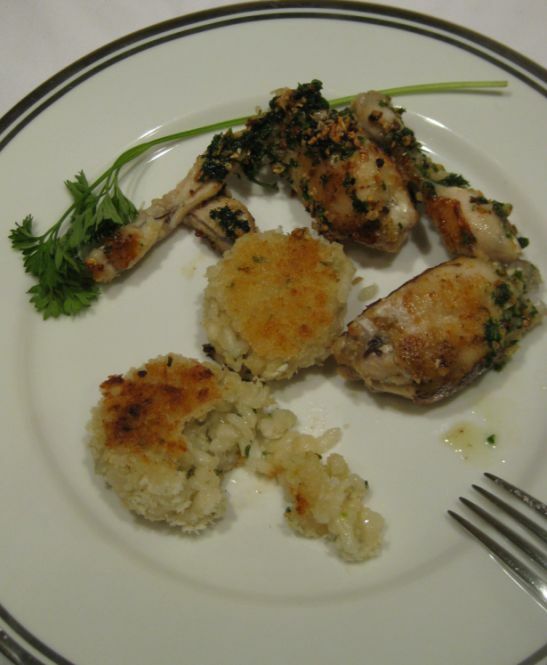 The recipe recommended the small frog legs because it is closer to what the French use and they were right. 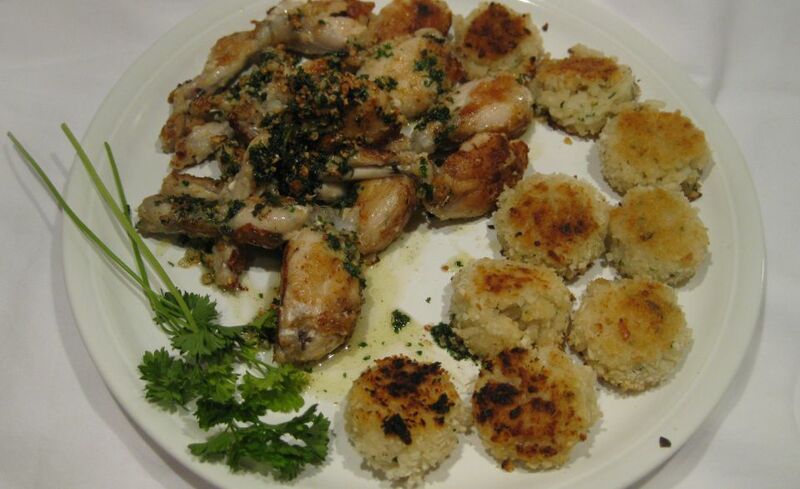 The large Frog legs are definitely not cutting it so if you can find the small type don't make this dish. 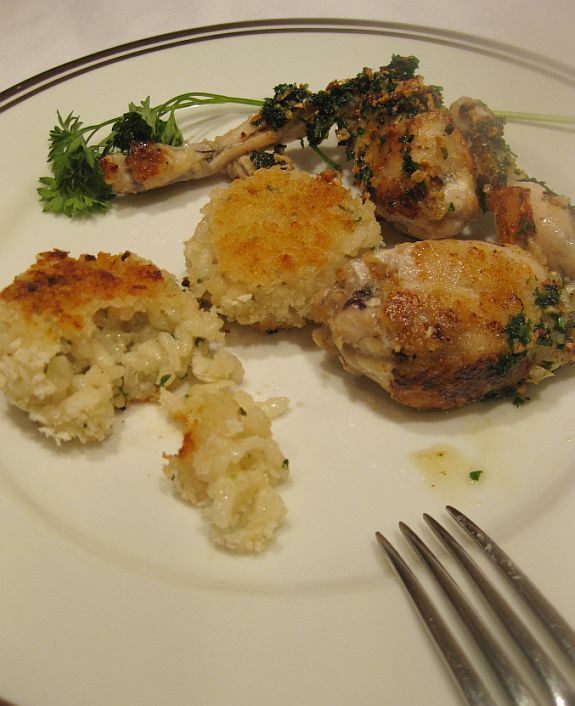 It was a nice dish but too bad I did not care much for the taste of the frog legs. 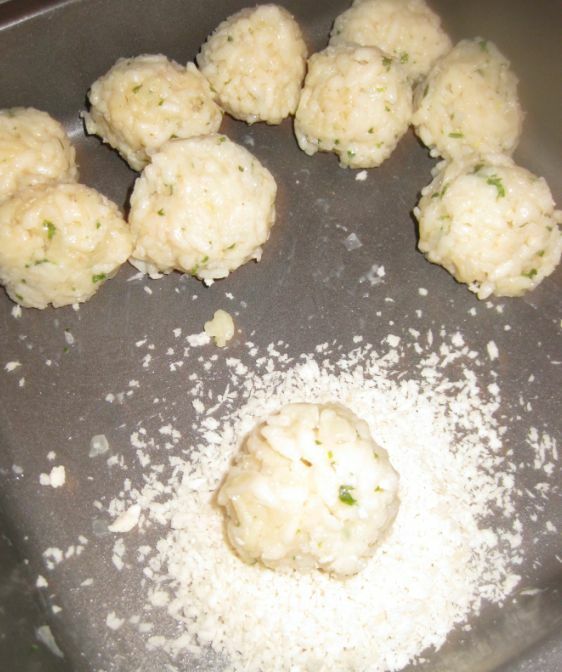 Perhaps I will try again but with the smaller legs and see how the taste will come out. 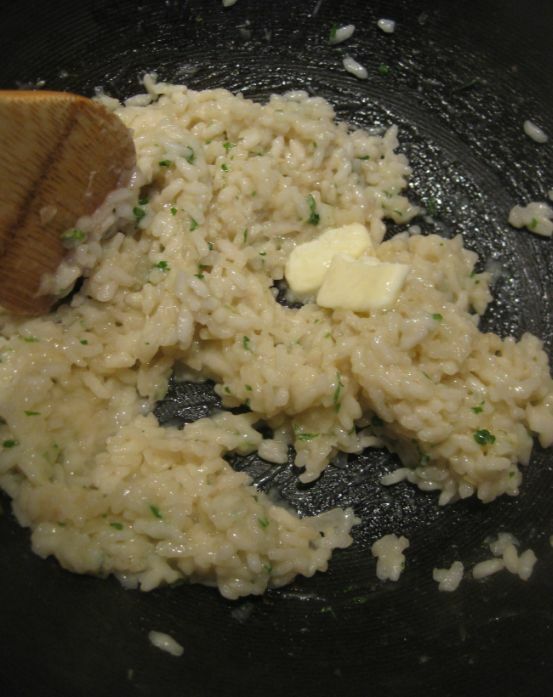 The risotto was delicious, creamy in the inside and crunchy on the outside. Yum! 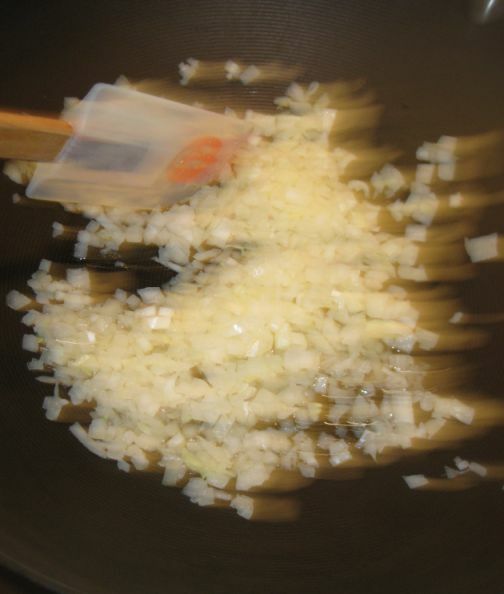 In a pan heat the oil over medium heat and stir the onion until translucent, about 2 3minutes. 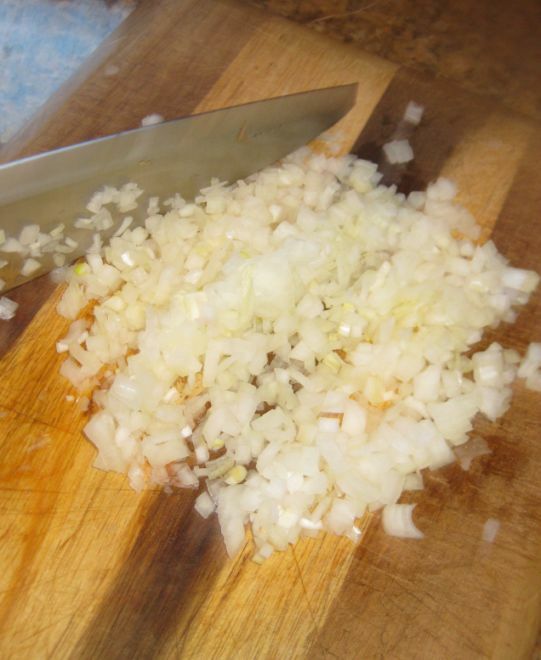 Do not brown the onion. 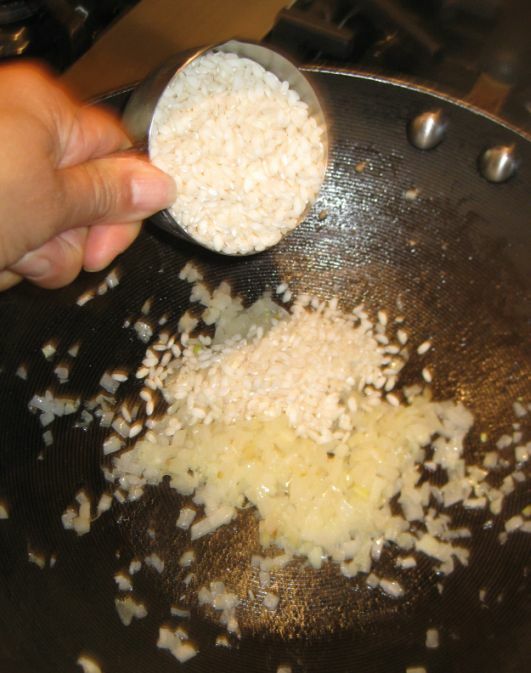 Stir the rice to coat it with the onion and oil. Remember to boil your chicken broth first. 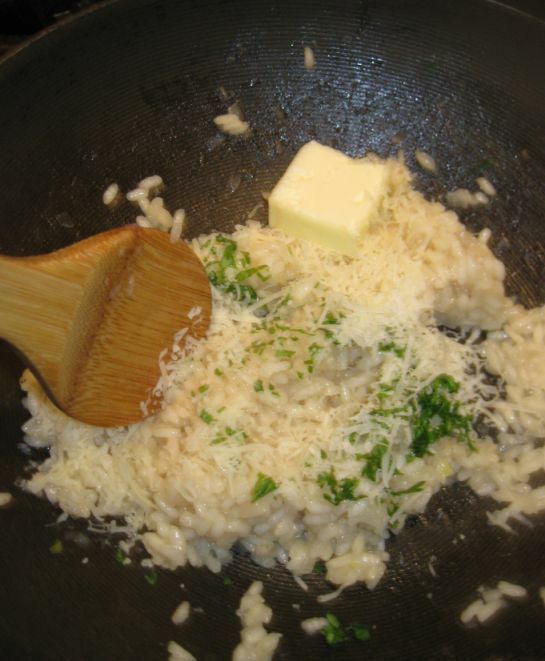 Add about 1/4 cup of hot chicken broth over the rice. 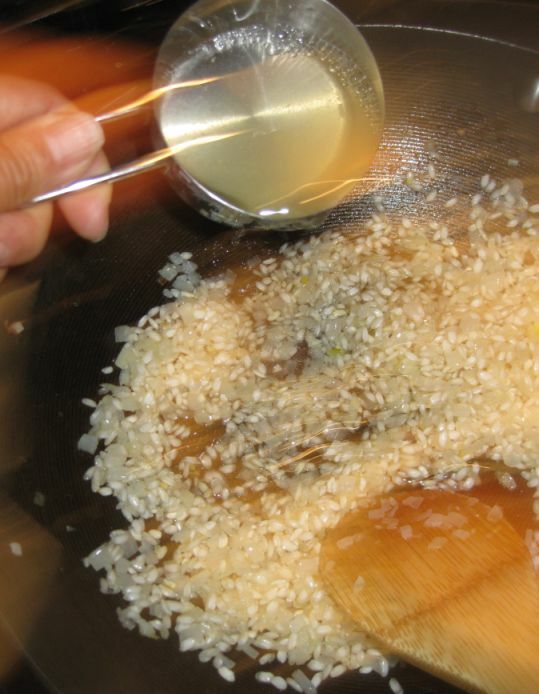 Stirring constantly until most of broth is absorbed. Add the remaining broth in 3 or 4 more additions. 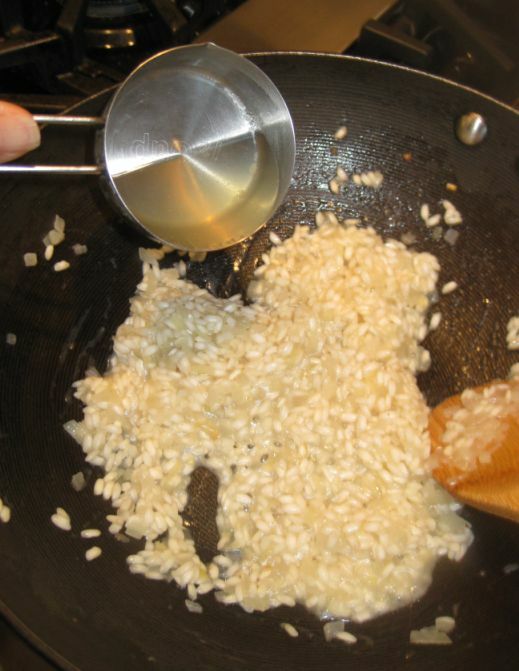 Keep stirring until all the broth is absorbed until the rice is cooked. 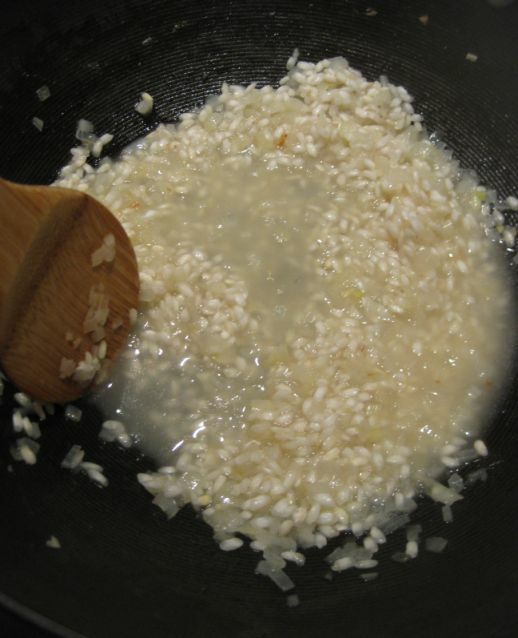 Add white wine at the end of the cooking and simmer until all the wine has evaporated. until the butter has melted. 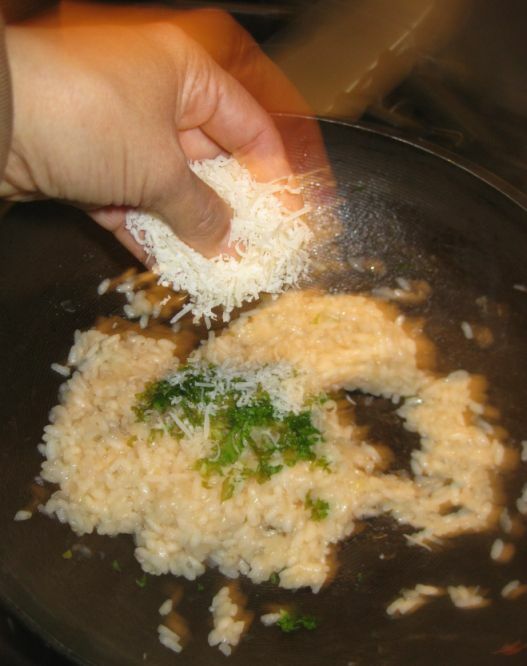 Set aside until the rice has cooled down and you can handle it. 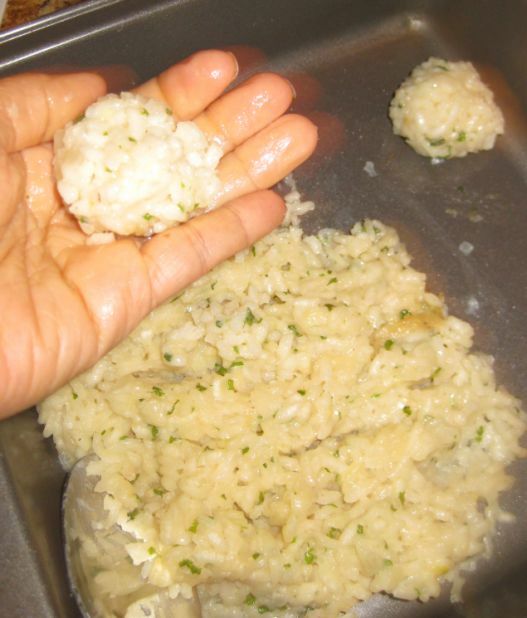 When the rice has cooled down, shape the rice into balls with your hand. 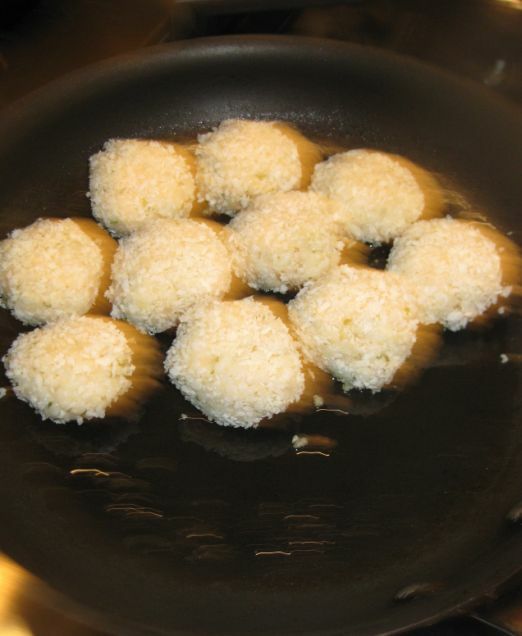 Set the rice balls on an oiled pan over medium low heat. It takes a while so be patient and don't crank up the heat. 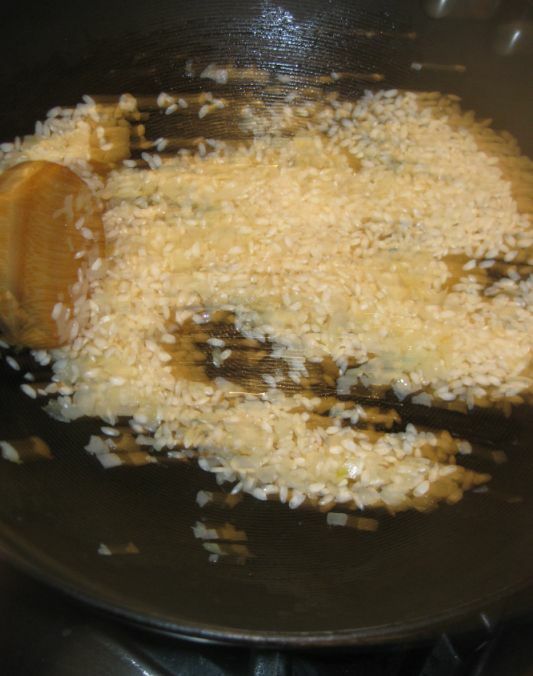 It needs to be cooked slowly so that the rice is crispy. 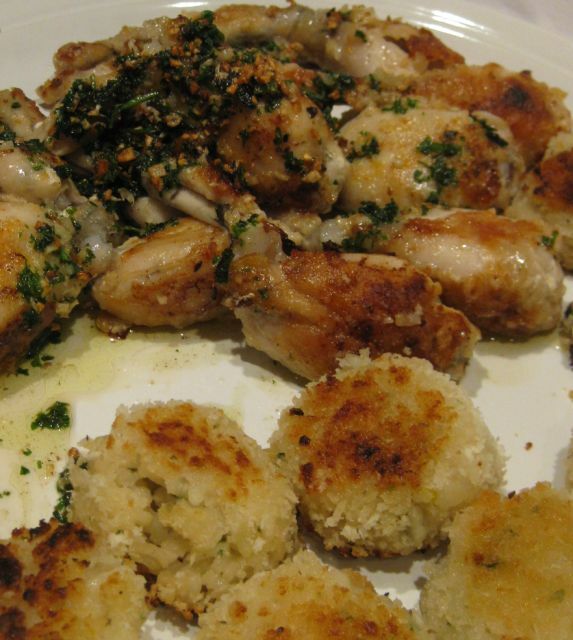 Season the frog's leg with salt and pepper. 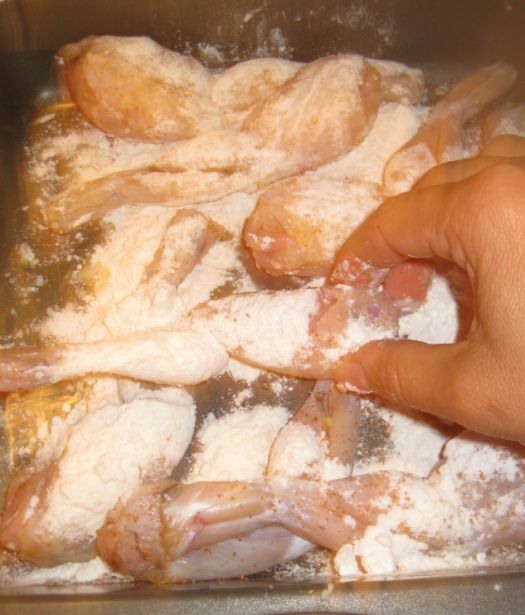 Dredge the frog legs lightly with flour. 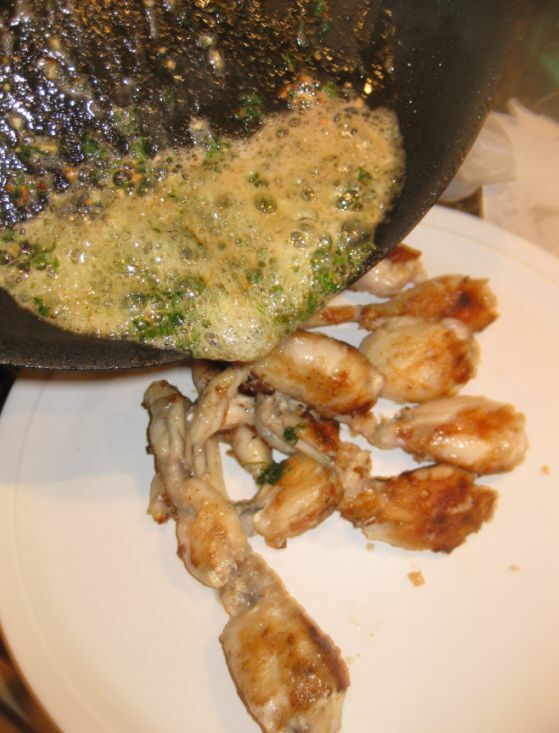 Set the frog legs over a large oiled pan over high heat. 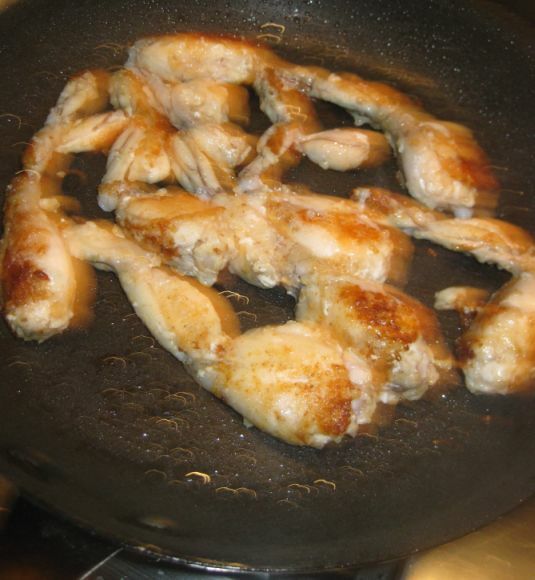 Sautee the frog legs until golden brown and set them on a dish. 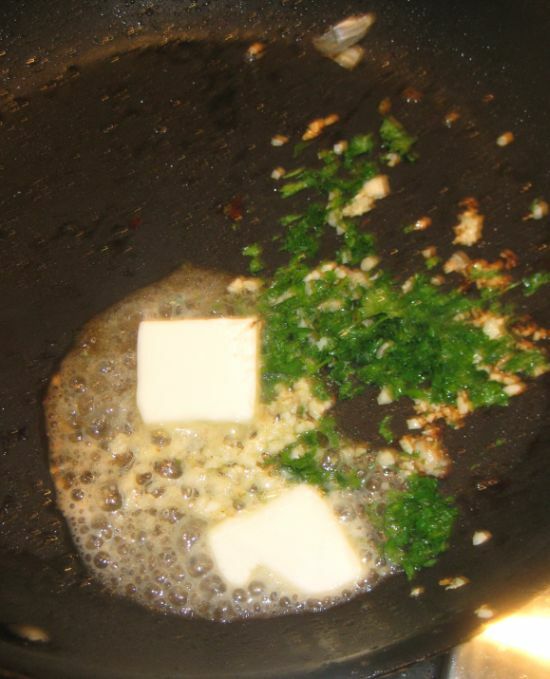 Melt the butter with the chopped garlic and parsley. Pour the melted butter over the frog's leg. 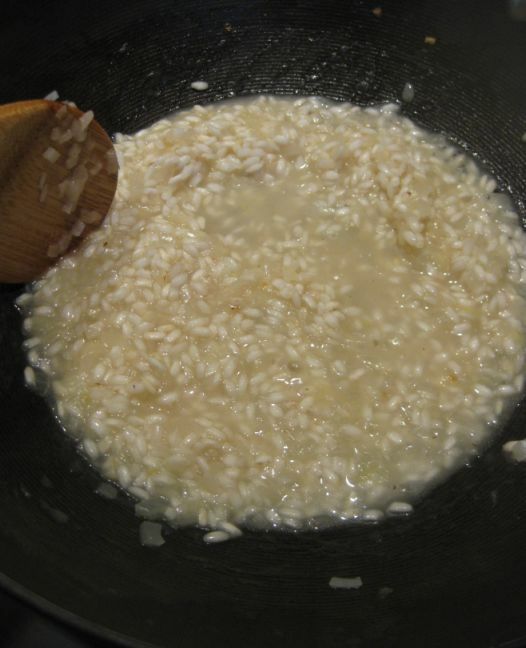 The risotto are now golden brown on both side and ready to be served.